British Muslim voices lead new calls for the UK to offer asylum to Asia Bibi, a Pakistani Christian woman recently acquitted of blasphemy in Pakistan. On Saturday 17 September, Britons are on the march again to show that we remain a country that welcomes refugees in need of protection. Lib Dem leader Tim Farron made an impassioned defence of liberal values on refugee protection today in his address to the party’s conference in Bournemouth, writes Steve Ballinger, as he drew attention to Britain’s proud tradition of offering protection to those most in need while mounting a stinging criticism of PM David Cameron’s handling of the current refugee crisis. It was a strong, impassioned speech, most commentators agreed – one that would play well with the core Lib Dem vote. But would it resonate with the majority, who had turned away from the party in droves? The Guardian’s Rafael Behr suggested that those who might now criticise Farron as being out of touch with mainstream public opinion had failed to grasp his strategy – one of making a strong pitch for the most liberal voters who take pride in being considerably more moderate than most on immigration. But is a ‘core vote’ strategy, seeking to appeal to only the most liberal voters, good politics? And is it the best way to build public confidence in Britain’s ability to manage the current, high levels of immigration to Britain? Probably not. Polling by Survation for British Future, published today in “The politics of immigration – the surprising lessons of the 2015 General Election and what they mean for new party leaders” suggests that the Lib Dems are the least likely of all parties to have anything resembling a ‘core vote’. 70% of those who voted Lib Dem in 2015 suggested they might vote for a different party in future, compared with less than half of Labour, Conservative or SNP voters. 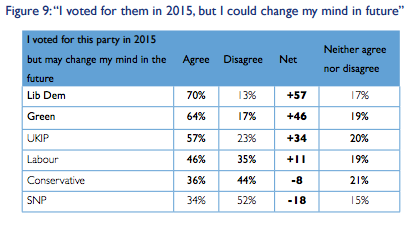 Only 13% of Lib Dem voters were confident they would not be changing their mind in future. The party was also less successful than they had hoped in securing support from voters who shared the party’s liberal outlook on questions like Europe and immigration. The Lib Dems won around 12% of those in the pro-migration ‘liberal minority’, not much higher than their 10% share of the ‘anxious middle’ who hold more mixed views on immigration. While it’s not surprising that only 2% of voters with strongly anti-migration views voted Lib Dem, pro-migration voters were twice as likely to vote Conservative, and almost four times as likely to vote Labour, than to support the Lib Dems. As Queen Elizabeth II becomes our longest-reigning monarch, we look back at the thanks given by refugees for the sanctuary Britain has offered during her reign. It is a curious thing when someone of a centre-right disposition, with similarly right-of-centre views on immigration, has cause to rail against the right-wing press, writes Drew Smith. However, speaking as someone whose role of late has been consumed by the migrant crisis in Calais, I have seen first-hand, and been alarmed by, the pervasive ignorance of the situation. The public, it seems, are suffering from something I’ve dubbed ‘Little England Syndrome’. Don’t get me wrong: until recently I lived in Folkestone, site of the Channel Tunnel entrance, and I’ve been as alarmed as anyone by the ease with which migrants have gained illegal access to the ostensibly secure site. 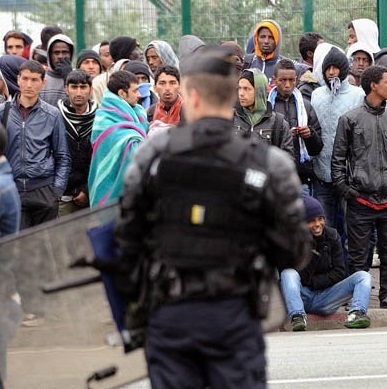 The migrants in Calais have no right to come to the UK; either because they are economic migrants or because, under the Dublin Regulation, those with legitimate asylum claims should have them processed in the first state they reach. For those in Calais this is clearly not the UK (it is less well-known that the majority of refugees entering Britain do so through our airports, often with fake documentation). As such, and in spite of my sympathy for the migrants on a human level, I no more want to see them succeed in their journey than is the prevailing norm. That said, there seems to be very little appreciation that the bigger picture is one in which the world is struggling with its largest refugee crisis since the Second World War. Never mind the catastrophic scale of the tumult afflicting countries such as Syria, Afghanistan, Eritrea and Iraq, some of which we share varying degrees of responsibility for; the discourse in certain parts of Britain, fuelled by Daily Express headlines such as “Send in army to halt migrant invasion” and “Ebola threat reaching UK shores” is one of pure, unabashed British self-interest. This focus on how ‘they’ will all be stealing our jobs, houses and hospital beds, while frolicking with taxpayer-funded handouts, means the wider realities, facts and tragedy are often sadly overlooked. Rising star of British boxing Ajmal "The Dream" Faizy dedicates his big fight - during Refugee Week - "to Britain, the country that offered me protection"
First-time voters in the 2015 General Election are standing behind Britain’s commitment to welcoming and protecting refugees, according to new polling carried out by YouGov. Analyse this: As British as fish and chips? As events take place across the UK to celebrate Refugee Week, new polling suggests that people value the contribution of migrants, and in particular refugees, with Sigmund Freud being ranked the refugee to have contributed the most to the UK. The British public believe that Britain should offer asylum to Afghan interpreters who worked for British troops, according to a new YouGov poll for British Future, writes Sunder Katwala. Why do non-white Brits feel that little bit more British? New research shows a strong sense of minority patriotism. Might it be time to stop being surprised, says Sunder Katwala? 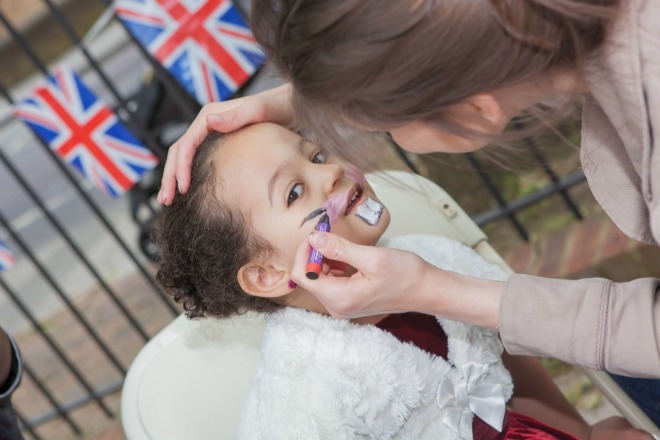 British Future hosted a Jubilee street party on Friday as a way of both celebrating the Queen’s Jubilee and acknowledging the contribution that refugees have made to British society during her reign. As British Future heads off to one of the first Jubilee street parties of the weekend to celebrate with refugees in Brixton today, we have written to The Times in honour of the Queen's Jubilee to acknowledge the contribution that refugees have made to Britain during the Queen's reign. Ever since the Home Secretary announced her plan for the new integration strategy in June 2011, we have been waiting for it to materialise with a mixture of excitement and anxiety, says Zrinka Bralo. Excitement because it might be different and better from those preceding it, and anxiety because of recent government announcements about further immigration restrictions. The rumour in the blogosphere is that a draft integration strategy called ‘Creating the Conditions for Integration’ has been circulating in Whitehall since November 2011. At The Forum, the organisation where I work, we are curious to see what’s in store for the future of integration as this is what we do and we need a constructive environment to be able to keep doing it.